Karina's Kreations: Stampin'Up Hey Love! 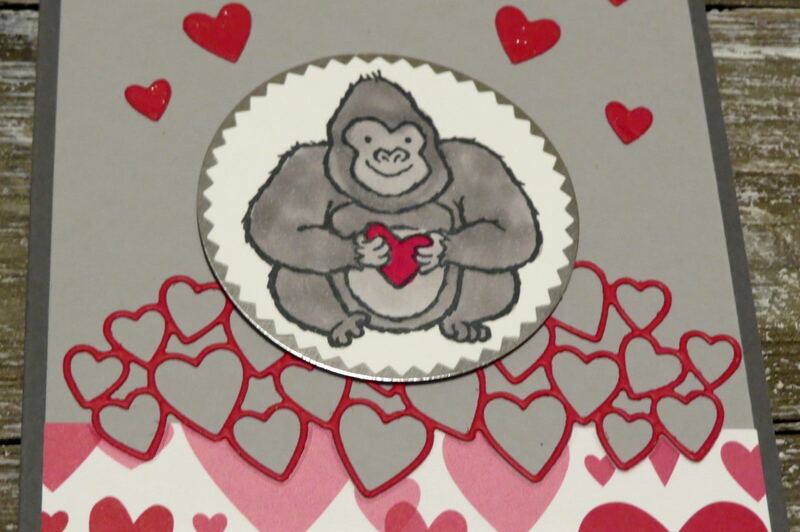 If you have kids who make Valentine's Day cards, you will want this stamp set. It's called Hey Love. It has the cutest images. In fact, I think you could use this stamp set for other occasions as well. 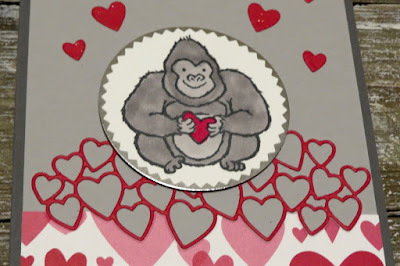 This card was designed by Leena Girsa and I love how she incorporated the Be Mine Stitched Framelit Dies in this card. When you cut out card stock with the multiple heart die, you get the frame and all the little hearts too. 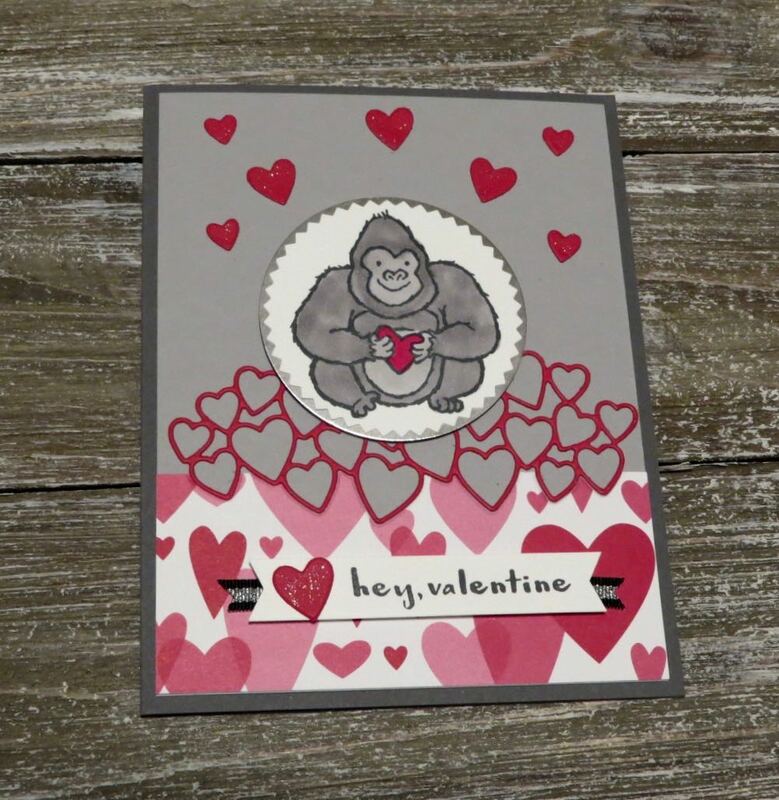 If you need Valentine's Day treats, consider using the You Can Make It Code #150811 for $75.00 which includes the Hey Love stamp set, Clear Block C, Thick White card stock, Flirty Flamingo Light and Smoky Slate Light Stampin Blends, a Memento Black Ink Pad, Night of Navy Baker's Twine and 2" x 8" Cello Bags. You can make tons of treats!! Here's the supply list for Leena's card.